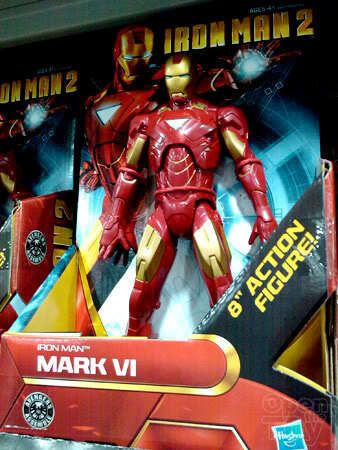 You call this an Ironman Action figure? 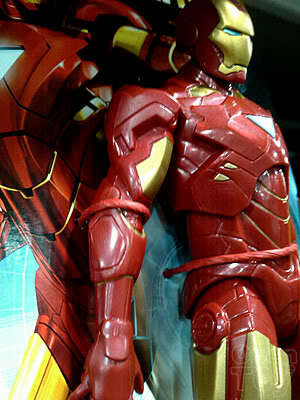 As the Ironman 2 movie is coming, the new toys of Ironman hit our shore few weeks ago. I only get to see them recently. Now I am not really a fan of 3.75" figures as I prefer how they were in 5 or 6" which are good for display and playing for me. Not to mention during the prices of the new 3.75" cost is almost as 50% of how the 5" toys used to be. Anyway there was one particular in the recent line that got my attention. 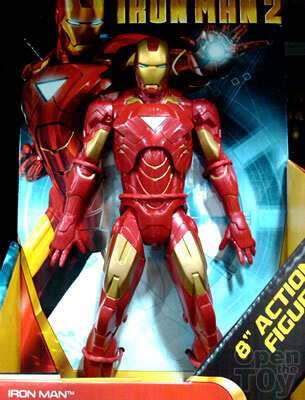 At the first sight, it got me interested a Ironman in 8" action figure! However when I take a closer look, I was greatly disappointed. 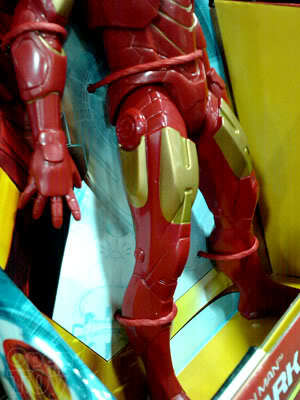 This action figure do not have elbow and wrist joints. For display figure, this toy certainly have the look and size but with the limited basic joint of the neck, shoulders, leg and additional joint at the torso, can it still be consider an action figure? That include no action movement like auto spring nor light and sound. What do you think? Can it be consider as an Action Figure? What is your understanding of an action figure?